The Cultural Contact Point – ITALY CCP is the official contact point for the Italian Culture Programme 2007-13 and is part of a network of 37 countries coordinated by DG Education and Culture of the European Union and by the Executive Agency for Education, Audiovisual and Culture (EACEA). Established in 2009 by the Ministry of Heritage and Culture, deals with promotion and distribution of the Programme at national level. The CCP ITALY grants access to the Culture Programme, providing free assistance to all potential beneficiaries. 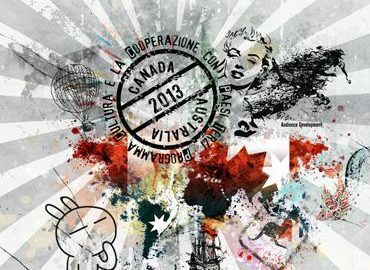 The last infoday of the Cultural Contact Point-CCP Italy about the Culture Programme will be held in Rome on March 25 at 11 am, at Sala Convegni Santa Marta of MiBAC and will be dedicated to cultural cooperation with Canada and Australia (strand 1.3.5). The event is open to all cultural operators, private and public, in particular, to those who are writing a project in cooperation with Canada and Australia. Cultural cooperation, audience development, strand 1.3.5, analysis of the form and budget form, Creative Europe are the topics of the agenda that will be presented by Leila Nista, Marcia Cristina Santone and Lacagnina CCP Italy. The Live Performers Meeting that since 2011 has become one of the most important cultural projects of the European Community, has been involved in the activities of the event of the CCP.